Nintendo has revealed that a set of Octoling amiibo will release later this year. The Octoling amiibo is part of a Splatoon 2 3-pack that includes a Octoling, an Octoling Boy and Octoling Girl. 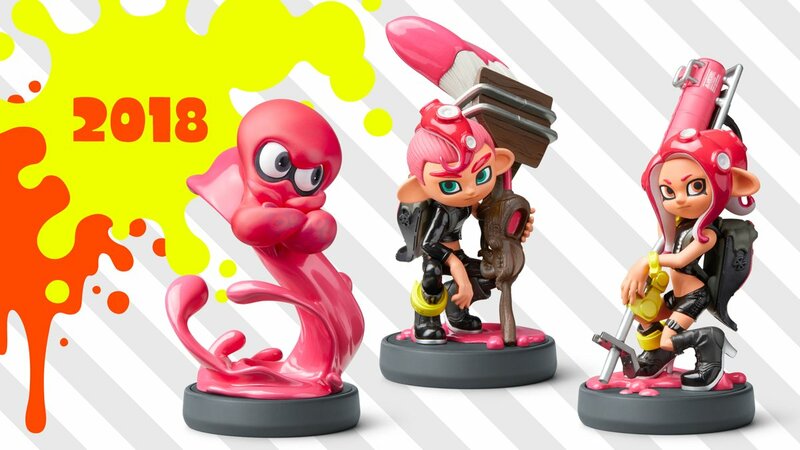 UPDATE 7/23/18 - Nintendo has announced that the Octoling amiibo 3 pack now has a release date of December 7th in North America. It's weird that the amiibo pack is releases the same day as Smash Ultimate, but Nintendo does have a habit of releasing amiibo the same day as a game. Thoughts ?